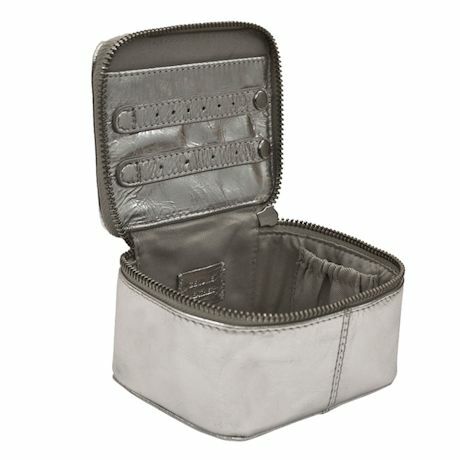 The perfect size for packing up a few bangles and earrings and tossing them in a suitcase; the elegant metallic shine makes the case easy to spot in the bottom of a bag. Plussed-up features include a tassel zipper pull, plus two snap-tab earring organizers under the lid plus elastic stash pouches inside. 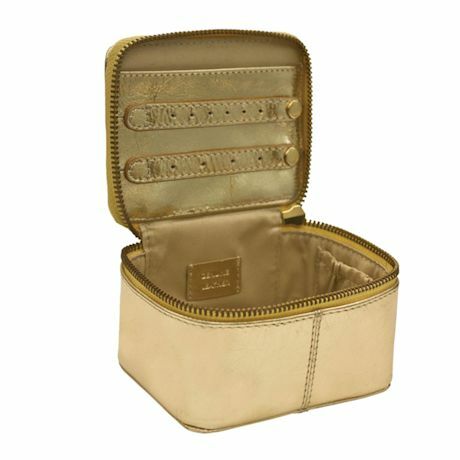 A must for weekends away, the wipe-clean case is made of high-quality leather with polyester lining. 4½" x 2¾" x 3½". Choose Gold or Silver.